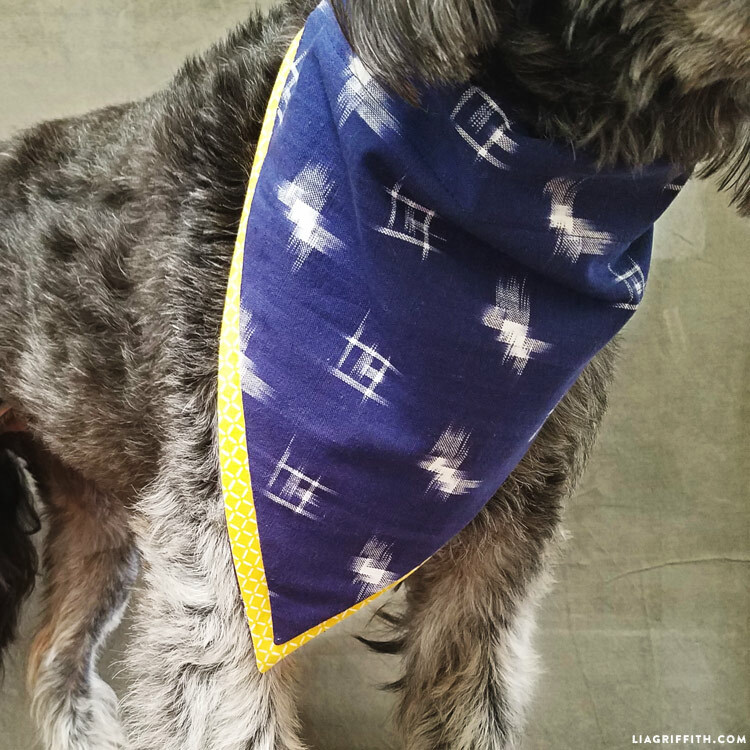 As we continue our series of DIYs for pets, we are excited to show you this super simple project that you can make for your dogs – a DIY dog bandana! 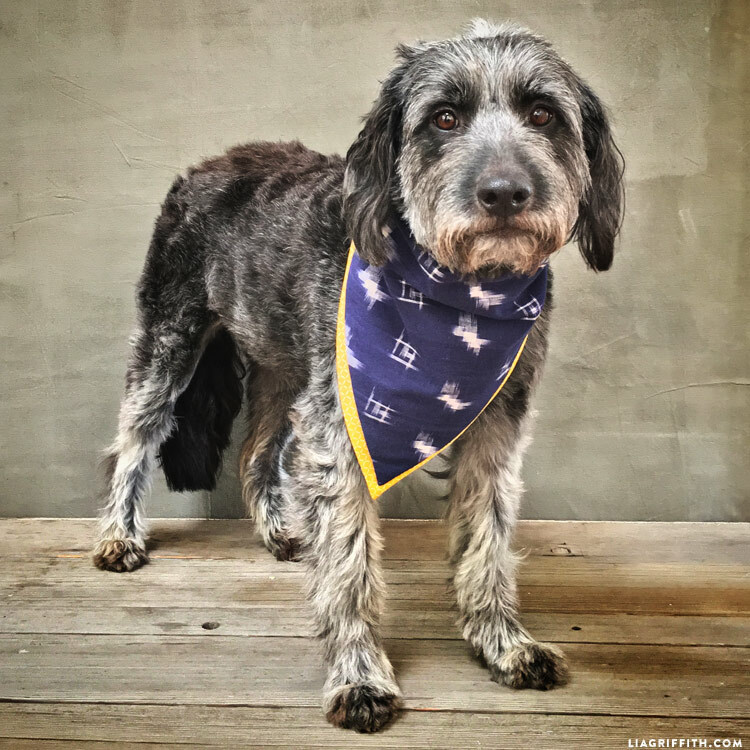 The project is really quick, and you have the opportunity to customize it with different fabrics to match your dog’s personality. 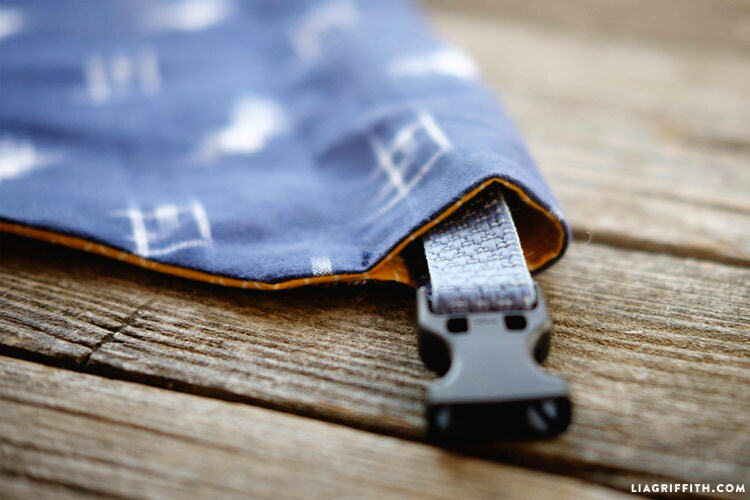 Once you are finished you can even pair it with our stylish DIY dog leash! Become a member to download the pattern and instructions today! 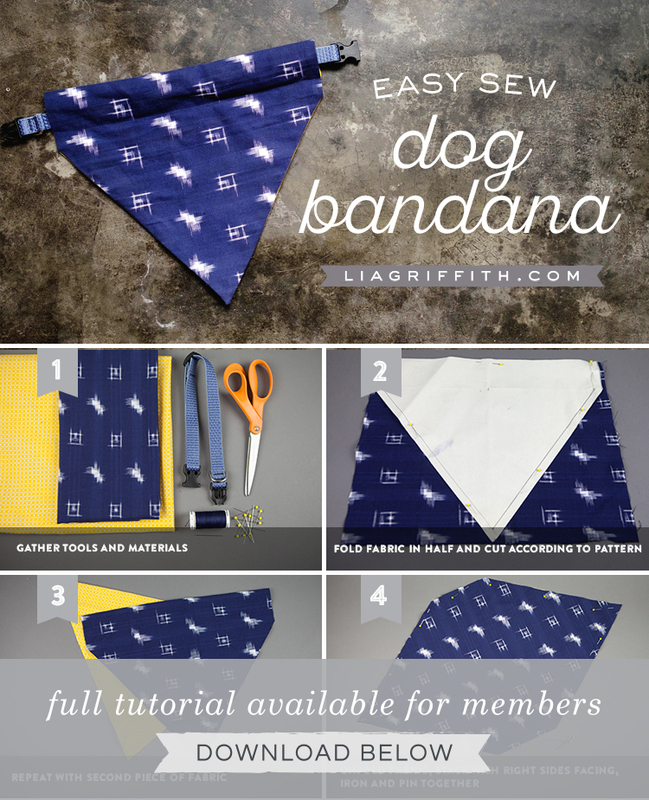 Choose your bandana size and print the PDF template at the bottom of the post. Fold your fabric in half and cut according to the pattern. Unfold the fabric, stack with right sides facing, iron and pin together. We found our ikat fabric from our local fabric store, but you can choose any fabric that appeals to you. Ours was a light to medium weight cotton fabric so that it would be easy to wash if it gets dirty. 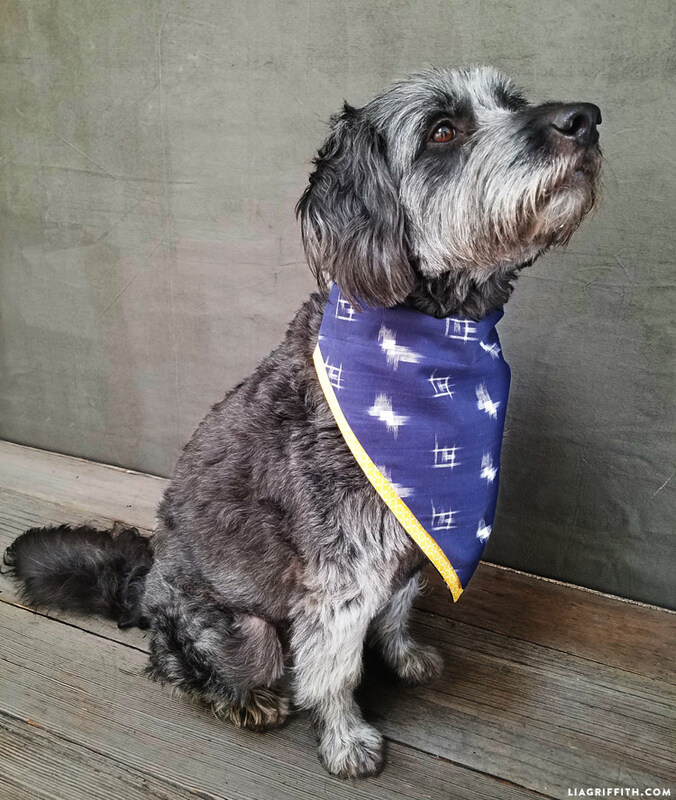 There are three different sizes of our bandana template depending on your dog’s size. Our model Hazel is wearing a large is it’s a little big for her! If you do not have a sewing machine, you can also easily stitch this by hand, although it will take much longer. 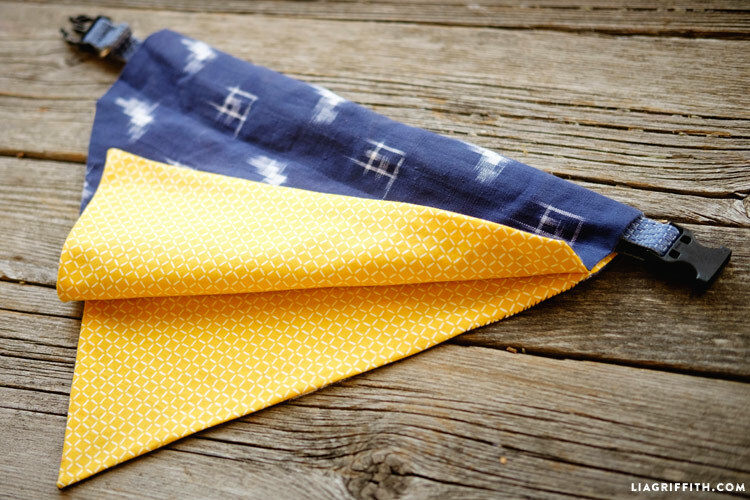 Make a couple of bandanas so that you can switch them out for different seasons! Made a bunch for my friend that just got a new puppy. Simple to make and finished product is so cute! Oh how sweet! Such a great gift idea. 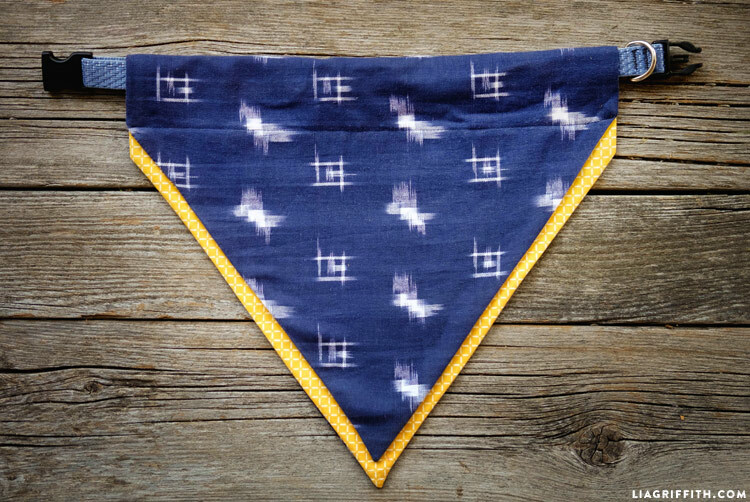 Such a cute finished bandana and looks so simple to do. Hope to construct it for my little dog.